And all the streets with passing cries resound. 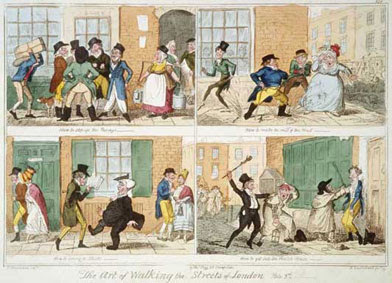 Oh, how should I describe my three short days in London when I went on a deliberate search for the sites, establishments and objects that existed in the Regency era? We chose a location at the edge of Mayfair, in a hotel on Half Moon Street, just a half block from Piccadilly and Green Park, a once popular dueling spot. We were also just around the corner from Shepherd Market, that wonderful tucked-in and hidden section of pubs, restaurants, and shops few tourists frequent. As I walked these familiar streets (for this was my fourth visit to this particular area of London), I turned onto St. James’s Street and looked inside the famous bow window at White’s, where Beau Brummel used to hold court. Inside, I spied a stout gentleman reclining in a comfortable leather chair reading the paper. Black and white prints of estimable personages lined the wall behind him. 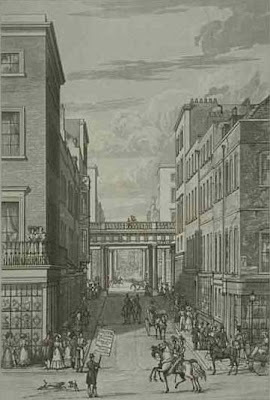 I moved on and turned left on Jermyn Street, with its rows of shops boasting Regency style bow windows. For sale in these small, select stores were custom made shirts, ties, men’s suits, and shoes. 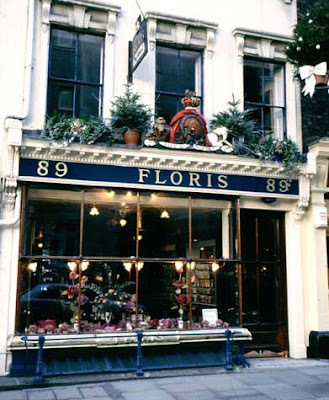 I strolled past the surprisingly small statue of Beau Brummel, which faces the entrance to Piccadilly Arcade, and headed straight for Floris, the perfume shop established in 1750. I entered its historic interior, where mementos of that time are displayed in mahogany and glass showcases. Luck was on my side, for 10 0z. bottles of lavender scented room spray was on sale. I promptly purchased three for my close Janeite friends, and acquired a Floris blue shopping bag in the process. I went slightly wild in this establishment, purchasing The Hell-Fire Clubs by Geoffrey Ashe, Decency & Disorder: The Age of Cant 1789-1837 by Ben Wilson, The Courtesan’s Revenge by Frances Wilson, England’s Mistress: The Infamous Life of Emma Hamilton by Kate Williams, Luxury and Pleasure in Eighteenth-Century Britain by Maxine Berg, and English Society in the 18th Century by Roy Porter. Laden with a bag of books and almost sated, for I was heady with the thought that these shops and institutions had existed in Jane Austen’s time, I strolled back to the hotel via Regent Street and historic Bond Street. I still had two more days of sightseeing to go, and I was a woman on a mission. 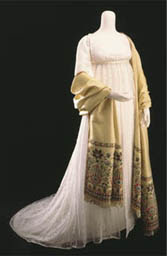 The next day I visited the Victoria and Albert Museum, and studied five amazingly beautiful regency gowns, as well as furniture and objects d’art from the Georgian, Regency, and Victorian Eras displayed in unique yet educational arrangements. Again I visited the bookstore, purchasing a Gentleman’s Book of Etiquette: Rules for Perfect Conduct, Life as a Victorian Lady by Pamela Horn, a cookery book with old recipes, and Four Hundred Years of Fashion, a V&A catalog. On the last day of my all too short trip, I visited the National Portrait Gallery and headed straight for Cassandra’s watercolour of Jane on the fourth floor. I almost missed it. The portrait is so tiny (scarcely larger than 4″x6″) and sits hidden, protected from damaging UV rays by an exhibition box that is open on only one side. I could not believe how small, delicate and faded this portrait was. Cassandra must have used a finely pointed sable brush in order to paint Jane’s features, which partly explains why the portrait is so crude. She only needed to make a minor mistake in order to skew Jane’s features. The other explanation is that Cassandra was not a particularly good artist. However, I was more than satisfied to view this resemblance of Jane’s face, for it is the only one I have seen up close. Before I left the museum, I purchased Dr. Johnson, His Club and Other Friends by Jenny Uglow and Below Stairs: 400 Years of Servants’ Portraits, an NPG catalog. Having no room left in my luggage, I nevertheless purchased a few more history books at the airport. The moment I returned home, I noticed a package on my hall table and opened it eagerly. Inside was a used edition of Jane Austen by Elizabeth Jenkins. My ravenous appetite for all things Austen has been temporarily slaked. From past experience, it will be a few years before I get the overwhelming itch to experience Regency London again. Sooo jealous of your trip to London! It’s been almost 10 years since I was there. I’m eager to hear your review of the Porter book. It’s on my list to read. Your blog brought back wonderful memories of my recent trip to London. I went down Jerymn Street and I have a picture of me with Beau. It was great reading your blog and remembering all the fun stuff I did and taking notes on what to see next time. What a delightful tour! Enjoyed every word. Brought back many wonderful memories of my times in London while at Cambridge. 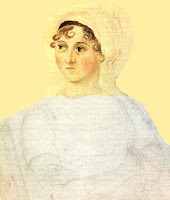 I must protest on Cassandra Austen’s behalf! The hair, eyes, and nose of her portrait of Jane is remarkably detailed. The rest, admittedly, is just sketched in quickly. I wish she would have finished it. P.S. pea green over your books! Thanks for walking us through London! Now I have a few new things I have to do next time I’m there! Heading to London in July (for only 2 days) before travelling to Scotland. This route is exactly what I was looking for. Thank you so much for taking the time to blog exactly where I wanted to visit.